I know what you are thinking...It is summer, I am on vacation, I am not in school mode yet. I get it I really do, I am just one of those crazy people who can't figure out how to turn it off! I have been officially out of school for 4 weeks, and although I have done my fair share of lounging around the house and hanging out with my boys, I have also been thinking about some things I want to do in my classroom for this next year. Today I am linking up with Lisa at Pawsitively Teaching, Ashley at Just Reed and Marissa at Inspired Owl's Corner for this month's Top 3 Pinterest Picks. I am constantly multi tasking, I can't help it, I just cannot sit and watch TV. So I am usually on my phone or laptop checking out IG, my favorite social media, Facebook or Pinterest for ideas I can use in my classroom. 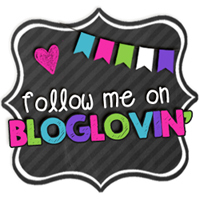 My Top 3 picks this month are things I am going to make for my classroom this month. 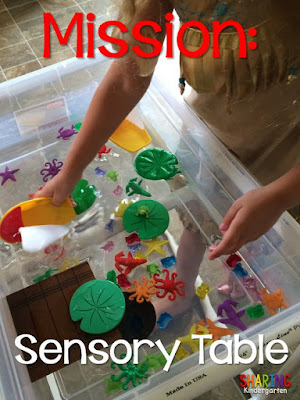 First up is a sensory table. I actually first pinned this idea over a year ago. I will even admit to the fact that the supplies to build this table are in my washroom as we speak and have been there for a good 8 months. So I am committed to Get. It. Done. this month. I want to be able to have my kiddos use this is class each week as a word work center. I will have either, rice or beans or pasta, etc., I plan to change it up frequently, and there will be sight words on laminated cards in the bin as well. They will find a card record their answer and keep digging. I think they will love it. Click on the picture to see the original pin and get the easy directions to make your own! 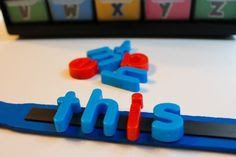 Next up is this great idea for another word work activity. Just paint a Paint stick, or leave it natural your call, add some magnetic tape and Voila, you have a fun activity! However, when I saw this pin, my wheels started turning. I just picked up some cute magnetic numbers in where else, the Target Dollar spot, and this would be perfect to practice math equations with my new numbers too! I am so excited, not to mention this should be a quick 30 minute or less project to complete. Sorry to say this pin lead to a dead end, but you can click on the image to go to the original pin if you want. 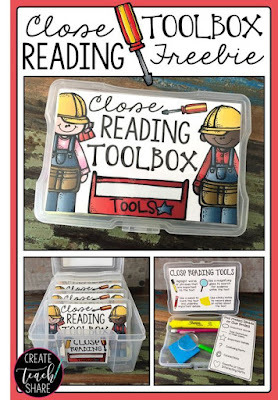 My final pick this month is for this cute, yet highly functional close reading toolbox kit. 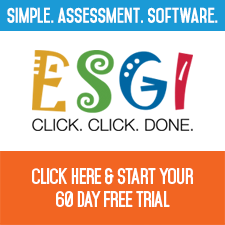 We have been doing a lot of talk and had several PD's at my school about the benefits of close reading. Click the picture for the original pin. This blog post contains step by step directions to complete this, plus a FREE download, and who doesn't love free, of the adorable labels to make it. Not to mention I already have these little boxes in my stash. I just can't pass up using a Michael's coupon for 50% off. I knew I would need them sooner or later. Hope you got some ideas you can use and that you make the most of your summer, whether you are getting to the end of it or just beginning. May it be unforgettable! 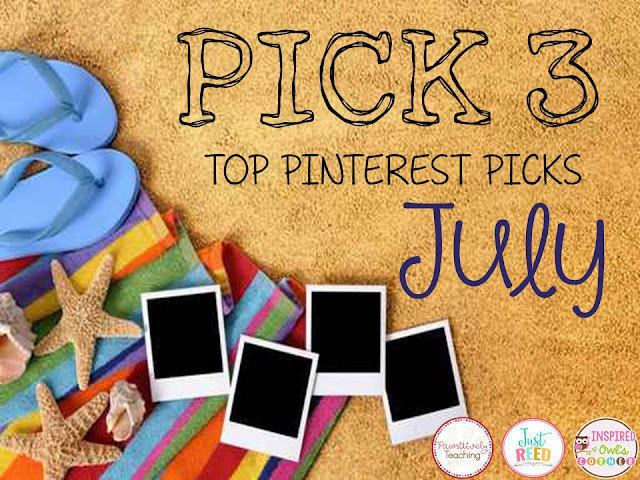 Now be sure to check out some of the other great Pick 3 posts for more fun ideas!